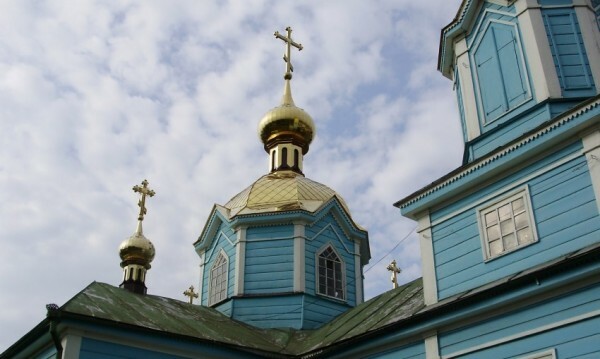 Moscow, December 1, Interfax - The Iverskaya Church, which belongs to the Ukrainian Orthodox Church of the Moscow Patriarchate and is located in the town of Rokitnoe in Ukraine's western Rovno region, has been vandalized. Overnight into Monday, the vandals slipped into the church, set fire to its altar, burned the antimins, the altar Gospel and the holy sacraments, robbed the church donation box and set fire to another three places inside the church, the press service of the Ukrainian Orthodox Church has reported. Rokitnoe’s Holy Trinity Church was set on fire and robbed on November 19. Ten churches belonging to the local diocese of the Ukrainian Orthodox Church were robbed and desecrated in 2014.